Which is a valid question. Any particular OpenSim world — like, say, OSGrid, or OpenLife, or ReactionGrid or WorldSimTerra — is small and puny in comparison to SecondLife’s grid. The single biggest grid out there right now is OSGrid, with a little over 17,000 registered users, and 2,000 regions. But at any given time, usually less than 100 people are on the grid, and many of those are developers, testing and improving the software. Not that developers aren’t fun to hang out with — no, I would never say that! But the discussion of user base misses the point of OpenSim. It took a while before any one website got rich and complex enough to compare with AOL. And, to be fair, it’s hard to say that any one website ever did offer the combination of email, instant messaging, forums, e-commerce, and content that AOL did, though MSN and Yahoo both do a fair job. But comparing individual grids to Second Life misses the point. The great thing about the World Wide Web isn’t that there’s a website out there that’s as good as AOL. It’s that anybody can put up a site, cheaply and quickly, that the sites are linked, and that people can make their sites do anything they want. OpenSim makes the World Wide Web possible for virtual worlds. 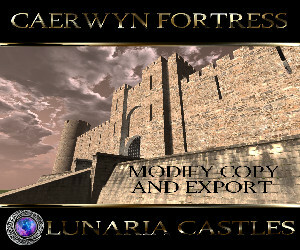 The software has been in development for about two years now but it’s only been in the last couple of months that’s become possible and practical to put up your own world and link it to other worlds. It takes a little bit of technical knowledge to do this — just as it takes a little know-how to host your own website. In my case, I had to call in my 14-year-old daughter for help. The software is open source, so the only price I had to pay was the shame and humilation of having to ask a child for help. But, just as with websites, you don’t have to host your own. 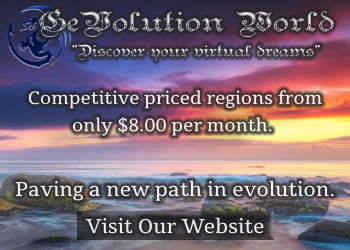 Prices for ready-to-go virtual worlds start at just $25 per 16-acre-region, and the nicer hosting companies won’t make you feel like an idiot for not being a network engineer. So why would you want your own virtual world? You could use it to show potential clients what your offices or your products look like. You could use it for staff meetings, or client conferences. You could use it to host networking events, to hold classes, and to run training sessions. You could use it for very rapid prototyping of buildings or products. You could use it to run a role playing game. You could use it for vices like gambling, or prostitution. Not that I’m encouraging this. I’m just saying. Once enough people start logging in (maybe because of those afore-mentioned vices), then we will start seeing more consumer-focused applications, like sim-commerce, virtual dating and casual gaming. Until then, I’m using my virtual worlds for staff meetings and networking events. Come visit! Previous story Is SecondLife an alternative for OpenSim users?